My recent post “Bull Case in Rick Perry’s Grid Study” highlighted efforts by U.S. Energy Secretary Rick Perry to help the coal industry with a study of the U.S. electrical grid. Coal has long claimed advantage as a ‘dispatchable’ power source, i.e. a consistently available power source suitable to supply power for the base load. Technology is making base load less important. Indeed, modernized or ‘smart’ electrical grids are making it possible to take advantage of low-cost renewable power sources even though they produce power intermittently and are therefore considered ‘not dispatchable’. The preference of market-based electric grids for the lowest-cost producer is what has got the coal industry in a knot as power generated from cheap natural gas wins out the daily bidding process. Even intermittent power sources such as wind and solar can beat out coal-fired power plants. 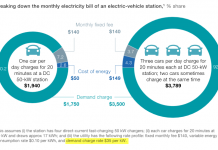 When wind and power sources are in operation at some scale their marginal cost is low (and getting lower according to the National Renewable Energy Laboratory) and therefore the asking price to the electrical grid is low. As electricity demand escalates the grid operator casts about for additional power from the next lowest priced power source. At some time during normal operating conditions, as more power is needed, wind and solar sources will rank as the next lowest-cost power source and beat out a coal-fired power source. Investors can take a cue from the Perry grid study by going long companies with technologies and know-how that make it possible to deliver power at the lowest possible cost. Following are few companies that are helping to ‘smart up’ the U.S. electricity grid. An electric grid is smart when its can optimize electricity utilization and interact with consumers and markets. EnerNOC, Inc. (ENOC: Nasdaq) describes itself as a world leader in energy intelligence. Among other energy management products for industry and business, the company provides demand response solutions and energy management software to customers in the U.S. and around the world. Demand response is a communications link between the power grid operator and large electricity users, making it possible for grid operators to cue these large customers that electricity demand is on the rise. Participating electricity users can then temporarily reduce their energy use during these periods of peak demand and get rewarded with special low rates. 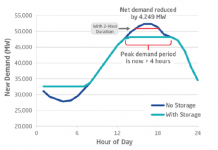 Even with offering lower rates the utilities and grid operator benefit from the smoothing effect the demand response system has on electricity demand. The grid operator does not as frequently have to reach out to higher-cost power providers and can more frequently tap power from intermittent power generators. EnerNOC reported a net loss of $41.9 million on total revenue of $398.7 million in total sales during the twelve months ending March 2017. As worrisome as that large loss might seem, it is not as troubling as the fact that the company burned up $39 million in cash resources to support operations during that period. To keep things going as EnerNOC struggles to right the ship, the company has tapped credit markets. The total debt to equity ratio is 141.88. The company has $74 million in cash on its balance sheet suggesting that it still has some staying power to see its strategic growth plan back to breakeven. MasTec, Inc. (MTZ: NYSE) is an engineering, procurement and construction company focused on the energy and utility infrastructure sector. An electric grid is considered smart when its can self-monitor its equipment and components. Among a long list of infrastructures, MasTec delivers on smart grid projects for utilities, including smart-metering, energy controls and monitors, and other technology solutions designed to regulate power flows. The company is also experienced in wind, solar and geothermal power construction, but has made wind power a specialty. For example, MasTec constructed 32 miles of 34 kilovolt electric power lines to collected power from a new wind farm for Transcanada. In White Lake, South Dakota, MasTec erected 108 wind towers with 1.5 megawatt turbines for the Crow Lake Wind Farm owned by the Basin Electric Power Cooperative. MasTec uses its extensive knowledge of electric generation and transmission to connect and deliver high voltage power in the most efficient network. In the twelve months ending March 2017, MasTec earned $174.9 million in net income or $2.13 per share on $5.3 billion in total revenue. Operating cash flow generated during the period totaled $343.9 million, representing a sales-to-cash conversion rate of 6.5%. If that achievement is not impressive enough, note that return on equity is 17%. Analysts expect the good times to continue rolling for MasTec. The consensus estimate is for $2.46 per share in the year 2017. This represents a growth rate of 15.5%. We note that MTZ shares are trading at 15.1 times forward earnings, suggesting that the stock is just at fair value. Quanta Services (PWR: NYSE) is another engineering, procurement and construction company based in the U.S. and claims to be the largest electric transmission and distribution specialty contractor in North America. The company has an engineering design and planning team focused exclusively on smart grid technologies. The company puts particular emphasis on information technology systems as needed for achieving a truly ‘smart’ grid. Two-way communications systems, automated feeder switches and phasor measurement units to monitor grid stability are part of a sophisticated network solution. With a robust IT solution the grid is able to integrate renewable energy sources by nimbly switching among sources as they generate power. This process levels out power availability, thereby reducing dependence upon high-cost ‘dispatchable’ sources. 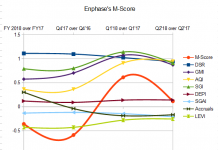 Quanta is significantly larger than MasTec as an EPC services provider, but is not quite as profitable. Quanta reported net income of $226.5 million or $1.45 per share on $8.1 billion in total sales in the twelve months ending March 2017. Sales-to-cash conversion was only 2.1% in the year. Furthermore, Quanta is only earned 6.9% on equity. Shares of Quanta are priced at 13.4 times forward earnings and therefore present a bit of a bargain compared to MTZ. Perhaps more importantly, PWR shares are a less volatile with a beta of 0.74 compared to a beta of 1.88 for MTZ. Silver Springs Network, Inc. (SSNI: Nasdaq) offers a solutions to enable communications between devices and the power grid. The SilverLink system provides utilities with data to improve and even automate power management decisions. 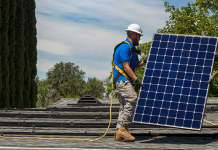 The company is particularly focused on integrating distributed energy resources to the electrical grid, and touts its communications and intelligent control solutions for utilities. Silver Springs also uses a novel concept of ‘virtual power plants’ to created greater reliability in distributed energy resources. nbsp; However, cash flow from operations was a healthy $18.6 million or 5.9% of sales. The benefits of internal cash generation can be seen on the balance sheet with $116.6 million in cash at the end of March 2017 and no debt. Analysts anticipate even better times ahead the consensus estimate is for net profits $0.30 per share in 2018. The stock is currently trading at 32.8 times that consensus estimate.